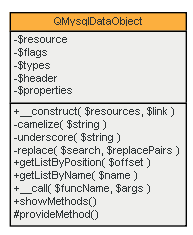 This package can be used to access MySQL query results as objects. It can take a MySQL query result set resource handle as parameter and provides several types of functions to access the data from the result set. It provides check or retrieve the result set data positions, as well retrieve the type and length of the respective columns. The package provides implementations that use the regular MySQL and MySQLi extensions to access MySQL query results. Object building becomes much quicker if you operate with sql conditions. The test above shows, that a cut on a deep offset is slow. So you have to reduce the data cloud by conditioning and so on. This wrapper dynamically builds a data object from a mysql resource. 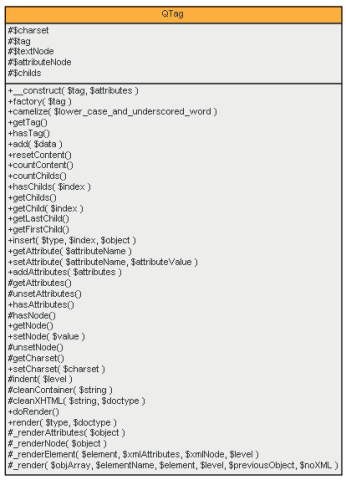 It dynamically provides set, get, has, is, len, typ, of and add prefixed methods for header and data values. 3-letter-prefixed methods usually get or set data. set-methods put data into the object once. add-methods are able to push data at the end of an object property section. has and get switch between the data and header properties automatically. NOTE! For getting it working correctly, you have to write down the column names. not unique. You can use an alias for getting unique columns. a list with only one object. By this convention addressing a row becomes quite simple. If you have a data object with one entry then you can get it like this. As you can see the table name is attached to the column after the of separator. 'FirstNameOfMdEmployees' is called the perspective name of the model perspective. Why? The data result set gives you a new perspective onto the data cloud. table name (relation name) will be attached to the column (attribute name). Overwriting of columns in array will be avoided automatically. It is nearly the same as a full qualified name. But it is a php name, first. I could tell you more about my data model theory, but that shall be enough. method for getting an image of what is going on. manually. They are already there. this data object. I do know.